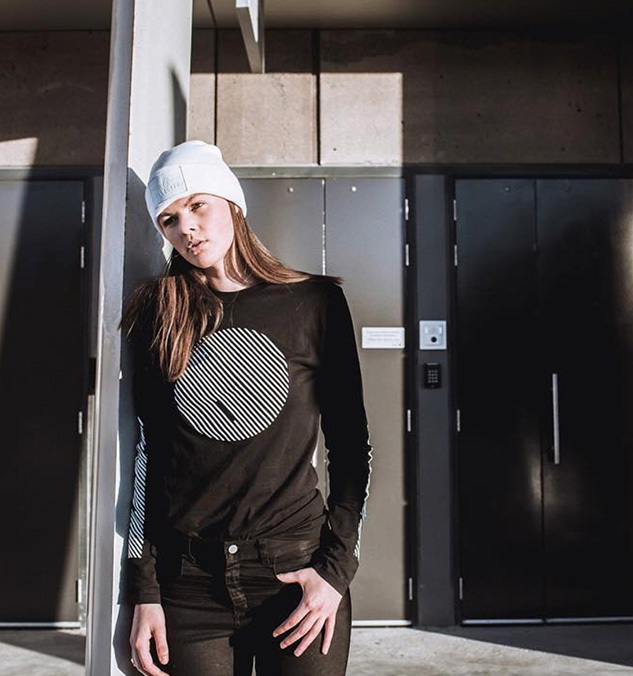 MIROMODA, the Indigenous Māori Fashion Apparel Board (IMFAB), was founded in 2008 to advance the quality status of Māori fashion design and to raise its artistic and professional standards. 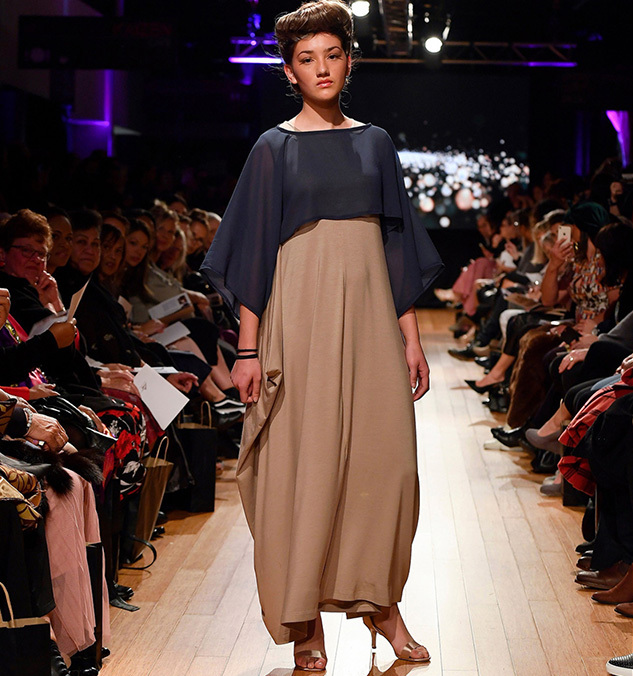 This year, MIROMODA designers are celebrating 10 years of showcasing Māori talent at New Zealand Fashion Week in 2019. In honour of this milestone, we spoke to five MIROMODA designers about their inspiration, local influence and what it means to them to represent local Māori design and culture. Speciality/design area: Owner and Designer of Mitchell Vincent Collection. Originally, my first thoughts were in interior design in which I studied before I studied fashion, but fashion is in the blood. Clothes and beauty were some of my earliest memories when growing up, like when mum and dad would throw dinner parties at home or before they were going out for an event. I always remember that “getting ready” stage with clothing and it made my little heart flutter. I’ve always had a love for clothing, even my father had to build me a walk-in wardrobe when I first started flatting (I promise, I’m not a diva!). I pretty much move all aspects of creating a collection in fashion. I feel that my favourite area is pattern making. I like the idea of working with the human body, seeing how the final cut works with the fabrics and construction. What does being a Māori designer mean to you? Being a Māori designer brings pride and family with everything that I do. I am part Ngati Tuwharetoe Māori, with English, Scottish and Islander heritage, too. I’m proud to be the face of the new generation of New Zealanders born into our beautiful land every year. I remember growing up strongly identifying as Māori because of my extended whanau around me and their family values. As a child, I didn’t have a designer or creative role model that had the same heritage as me or looked like me in order to identify with. Now, with every year I climb this career ladder, I think about my nieces and nephews in hopes that they can find their passions and have me as their role model to look up to. What story do you want your designs to tell? I would love my pieces when worn by a customer to be noticeable, fashion-forward but always relatable and approachable. Most of my inspiration in my collections come from the environment around me. My first collection to walk down the runway at New Zealand Fashion Week was called the Vapour Project, inspired by the geothermal lands in Taupo from where I come from. Who are your local design heroes? I have a beautiful designer mentor, Kiri Nathan, who I’m very grateful for. She has taught me a lot about the international fashion industry but also on how coming from Aotearoa will always be my biggest strength. Also, fellow designer Adrienne Whitewood. Her advice in is always the first I ask for. She has this way of fashion and retail business that feels so much more than a career and makes it feel like a home. Any advice for anyone wanting to be a designer? I feel the best advice to this day is from my sister and that is “Pressure makes diamonds”. If you want to be in this fashion field, get ready to work hard, do some intense learning while running. Time doesn’t stop for no one. Mitchell Vincent Collection will be having it’s first Pop Up Shop at Te Matatini Kapa Haka Festival in Wellington this year, with estimated 15,000 people to be in the shopping area alone. We will also be featuring some of our first Te Reo Māori prints and designs at this event along with the presenters wearing the collection on stage. Speciality/design area: Print design. Owner and designer of Adrienne Whitewood. My Kuia taught me how to sew when I was eight years old and I have been in love with clothing ever since. I love all types of design that’s my first passion I would class myself as a decorative designer and I right now I happen to be into Māori design as I feel there is so much to explore and so many stories to tell and it’s who I am culturally so it’s just natural. Again, I would class myself as a decorative designer. I love to decorate and I think decoration is a key idea in Māori art — the art of adornment. Our ancestors decorated everything, even their canoe water scoops. I believe that’s a wonderful idea they wanted to beautify their world I love that concept. Definitely living in Rotorua and being around so many cool Māori things going on, it’s just natural to be inspired. There’s always new Māori art going up, Māori art exhibitions and Māori businesses. Everyone uses the culture to promote what they are about. It’s not really a novelty in Rotorua, it’s a necessity if you want to stand out. Oh, heaps! Kiri Nathan, Shona Tawhiao, Pipi Ma… so many great designs and concepts. Keep going and finish what you start. Speciality/design area: Owner and designer of Pania Greenaway. As a young girl, it was inspiring watching the women around me (my mum, aunties and grandma) dress up fabulously and make bold creations. I work with fabric, mostly natural fibres and cellulose fibres. I am interested in recycled plastic fabrics, too. Supporting and promoting Māori design, our environmental and cultural practices and concepts. As a Māori designer I am keen to use the platform I have to support Māori and to work with, and positively impact Māori, from models, photographers and interns and where ever else I can help. We have a koha range at Pania Greenaway that is expanding this year. With our designs, we try to reflect our brand’s vision of being a global brand and sharing our love of indigenous design, art, artisanship, conservation and the idea that clothing should be well-made, treasured and kept for many years. My whakapapa connects me with Papatūānuku which ultimately informs most of our decisions here at Pania Greenaway. Today, we’re fortunate to be able to connect with the wisdom of so many different traditions and cultures. And as we continue our creative work here, we do it with care and respect for the land and people we live with and learn from. By learning and exchanging knowledge, and living in harmony with each other and the environment we all benefit. Too many designers and artists I admire, a few that come to mind include Gina Matchitt, Ngataiharuru Taepa, Hone Bailey and Reuben Paterson. Work out what it is you do or want to do and do that thing well. Pania Greenaway collaborated with indigenous creatives for the koha range, using their artwork to share their stories and causes important to them. A koha from each t-shirt sale is donated to charities who are working to protect our precious environment. Pania designed their first koha tee, Climate Change Sinks, to highlight the effects of climate change in the Pacific. Proceeds from this print will go to the organisation 350 Pacific. When I was 12 or so. I used to design dresses all day, every day, and make little pencil cases and things at intermediate. I love working with the fabric and making pieces as much as designing them. It means a lot! I want to put myself out there as a Māori designer and make a name for myself. I want my designs to show a story of a modern woman that feels sophisticated, elegant and modest without feeling like they have to show all their skin to feel beautiful. I get my designs mostly from daily life, where I travel to (through the images) and a lot of my designs are influenced my Catholic belief. My local design heroes are the small businesses that cater for the individual customers, and then there are the online New Zealand businesses who have started their own label and created a store where people all over the work can buy original unique pieces. Persevere! Keep pushing for your dream. I’m underway starting a collab-label online store! Details are very hush-hush at the moment but there should be an online store up at the end of the year with original Nola collections! Speciality/design area: Avant-garde and everyday wear. Owner and designer of Nichola. First knew I wanted to be a designer when I was a teenager, I loved making my own clothes, revamping op shop clothes, hand painting fabrics and pretty much expressing my creativity on any medium I could find. Wool blends are what I work with most… but I really love mixing up different textures and lately I’ve been using gravography (metallic pvc) with mesh and netting fabrics. Being a Māori designer means I get the opportunity to share my culture, my world, my kōrero with the world. What story do you want your designs to tell? My designs tell many stories, the narrative depends on the collection. However, I mostly like to tell the stories of my Tipuna (ancestors), our Atua (Gods) and my whakaapa (bloodlines). I draw inspiration from many sources, kōrero I’m given, books I read, the environment I live in and am surrounded by, research, divine inspiration, water, birds… the list goes on and on. Kiri Nathan, Shona Tawhiao, Jeanine Clarkin, Amiria Skipwith and Adrienne Whitewood. Amazingly talented wāhine who are innovative and trial blazers, in my opinion. Practice your craft, back yourself and if you get knocked down always make sure you get back up! Even though I knew as a teenager I wanted to become a designer, it wasn’t till much later in life that I actually became a fashion designer. I actually left school and went on to become a spatial designer, majoring in furniture design. I wanted to share this, to show you can do anything, at any age, as long as you have direction, drive and most of all the passion for it. Passion will get you through everything, especially the hard times. Most of all don’t ever give up, if you love it, don’t ever give up! Thank you to the MIROMODA designers for taking the time to talk with us. We are excited to see the exciting designs and creativity on the NZFW 2019 runway. Stay tuned!